The Black Crocodile Belt is a stylish addition to your wardrobe because it can be worn with slacks or jeans and look awesome. 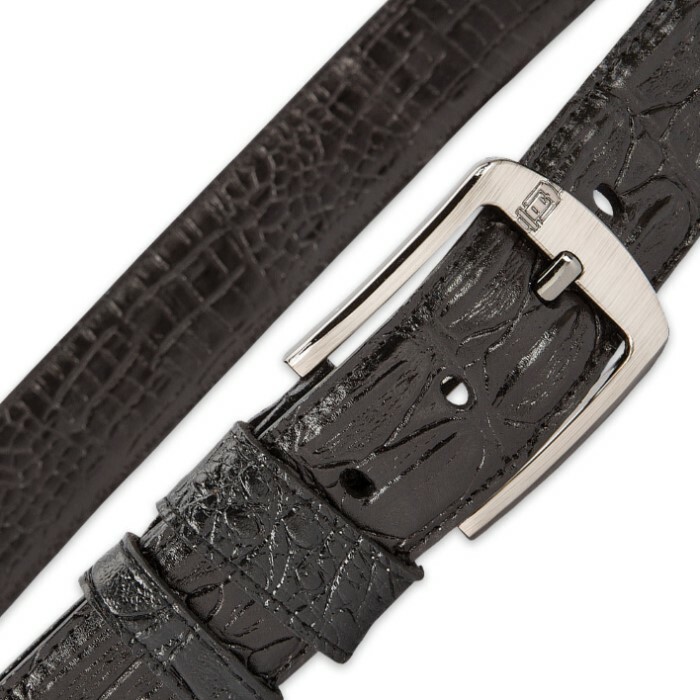 It has a very realistic, leather-look embossed crocodile pattern in a sharp black. 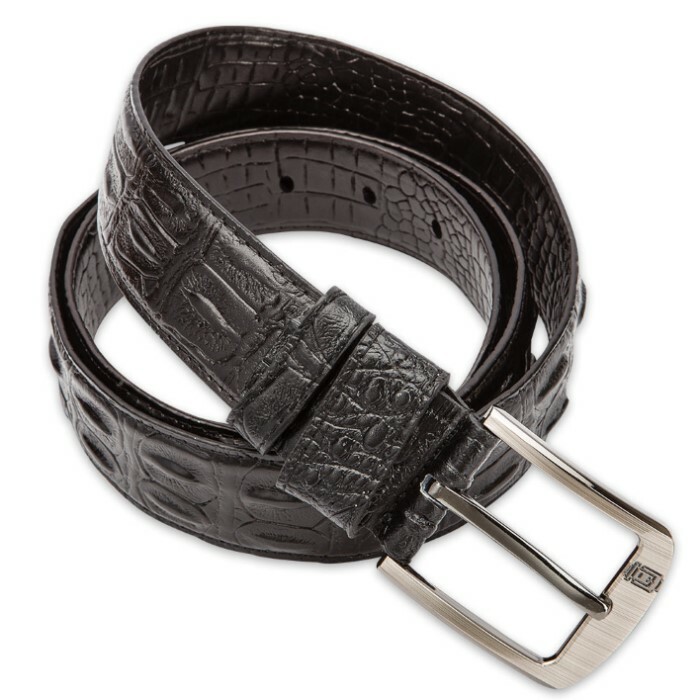 The buckle is made of a heavy-duty pewter-colored metal that compliments the black belt perfectly. 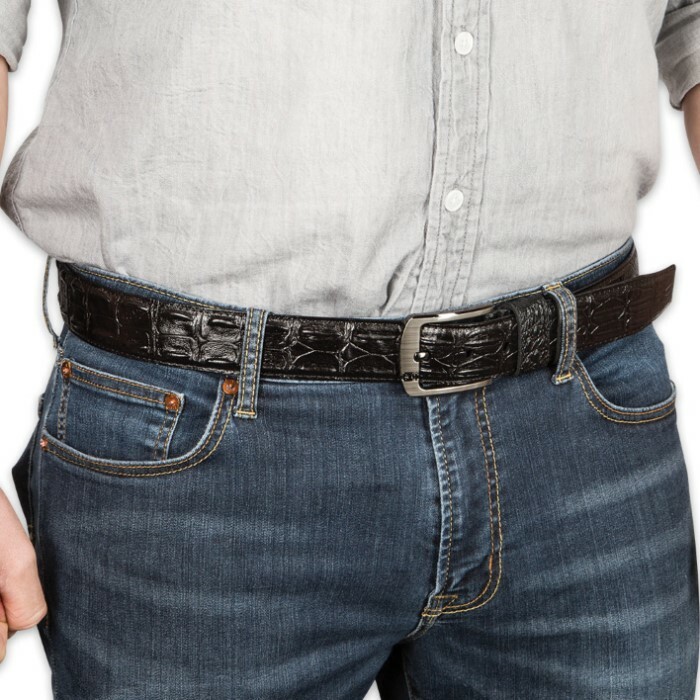 This belt comes in 1XL (40" to 42"); L (36" to 38"); and M (32" to 34").